Start your luxurious vacation with a signature welcome drink as you take in an unbeatable ocean view. Live Aqua balances sleek sophistication with warm hospitality, giving you superb spa options, fantastic food and the views postcards are made from. A modern, adults-only paradise. 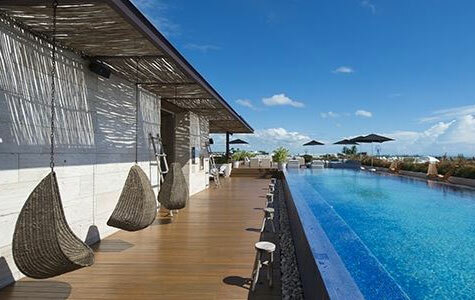 Enjoy a rooftop view with sushi and tapas restaurants, fruity cocktails and perfect pool. A treat for the body and soul, experiment with new spa treatments or relax with traditional standbys. Take advantage of loads of fun-in-the-sun activities, including snorkeling, scuba diving, fishing, jet skiing, swimming with the dolphins and parasailing. Blending contemporary architecture with sophisticated accommodations, this hotel provides the perfect vacation getaway for couples and luxury seekers. 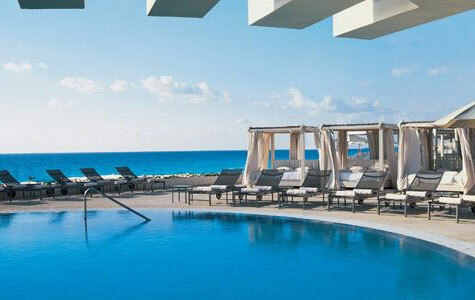 Guests will find a uniquely magical hotel on Playa del Carmen’s world-famous Quinta Avenida (Fifth Avenue), one of Mexico’s most alluring destinations. 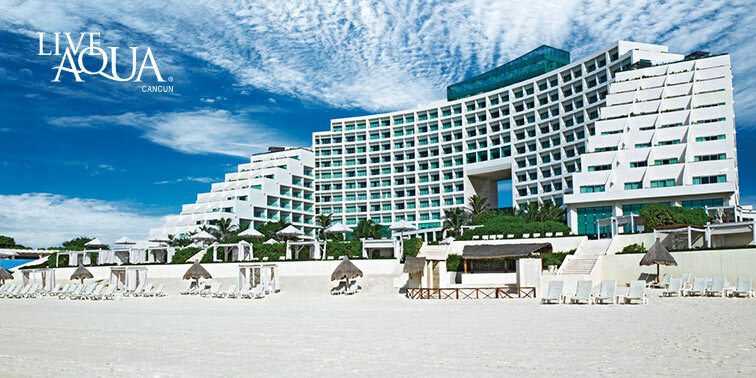 1Savings up to 40% valid at Live Aqua Cancun and Live Aqua Boutique Resort Playa del Carmen. All savings will be reflected in system prices at time of booking. Valid on new reservations made between 6 pm CST on 10/2/17 and 6 pm CST on 12/31/19 for travel 10/2/17 - 12/31/19.